Every single on of Jordan's posts makes me want to throw a party. This DIY sequin wall is no exception. This would have been perfect for your New Years Eve party (so I am going to tuck it away for next year), but what party couldn't use an entire wall of shimmering disco ball effect? 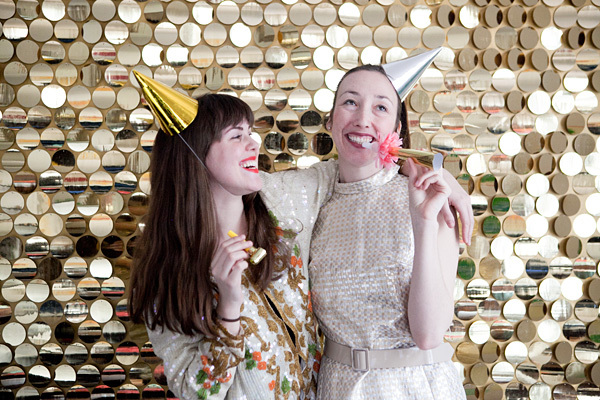 You can find out how to create your own sequin backdrop over at Oh Happy Day. She is an absolute machine of creativity. That makes me tired just looking at it!